What are Check/Non Return Valves? 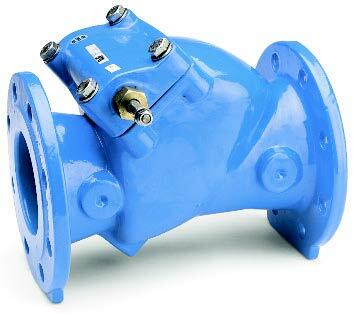 Swing Check Valves are non return valves, installed in pressure pipelines, and used to check the reverse flow of liquid by use of a swinging disc inside the fitting. Valves without a lever and weight fitting are only suitable for lower velocities. These resilient seated swing check valves are suitable for use with potable water, raw water and sewage, to a maximum working pressure of 16 Bar, and between temperatures of -10°C to +70°C. Insulation is essential for temperatures of 0°C and below.